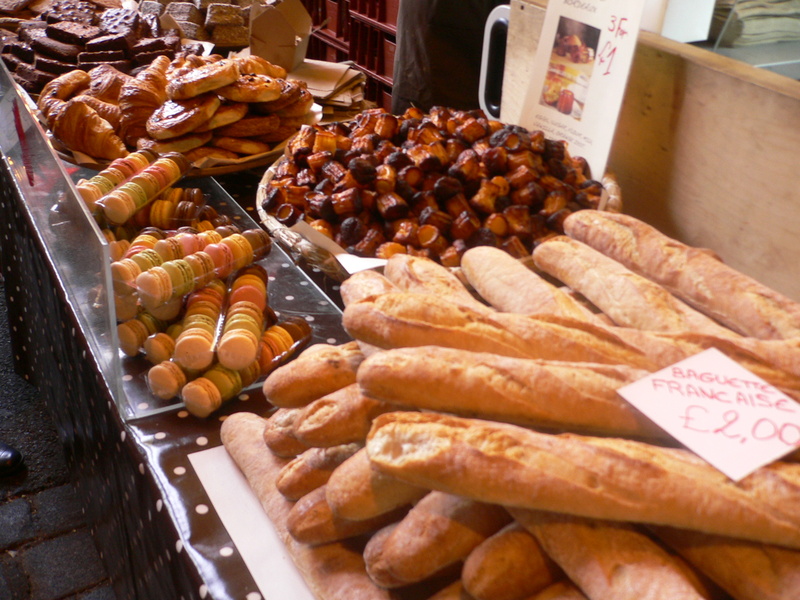 One of my favourite places to go in London is to Borough Market. 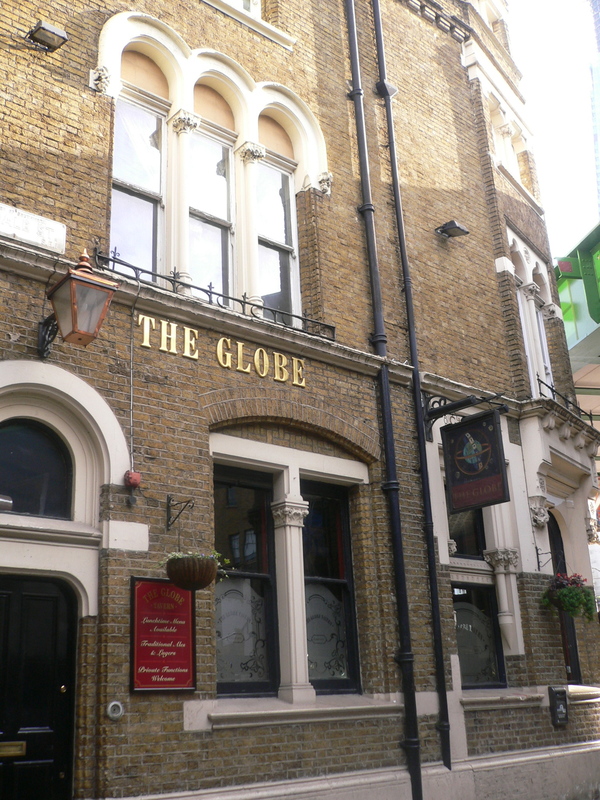 Some of you may recognize it from the famous movie Bridget Jone’s Diary – Bridget’s flat was located at one of the many entrances to the market but I was first introduced to the famous market in 2006 by G, a good friend who lived in London at the time. And ever since then, I’ve been going back on every visit. 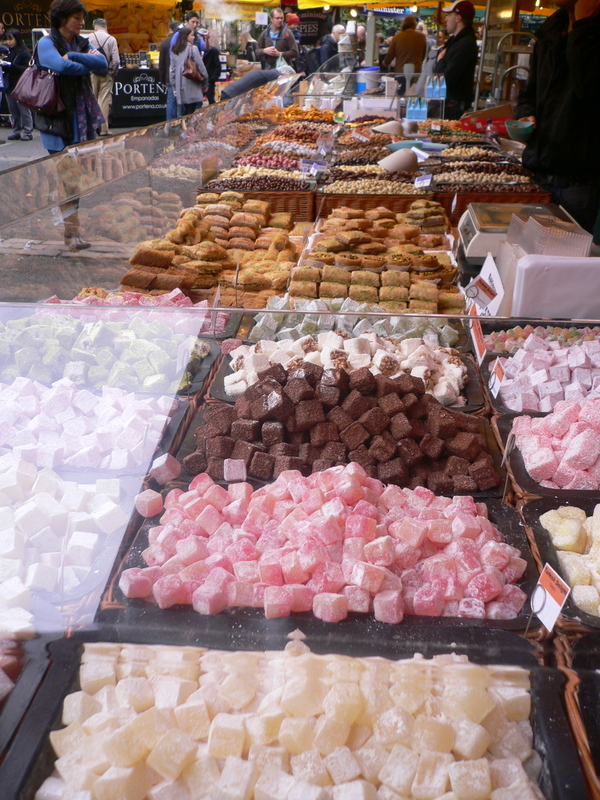 Although the market is best known for its fresh produce and farm to table meats I go back for my old favourites like those large, light and sugary meringues or the oversized chocolate brownies. 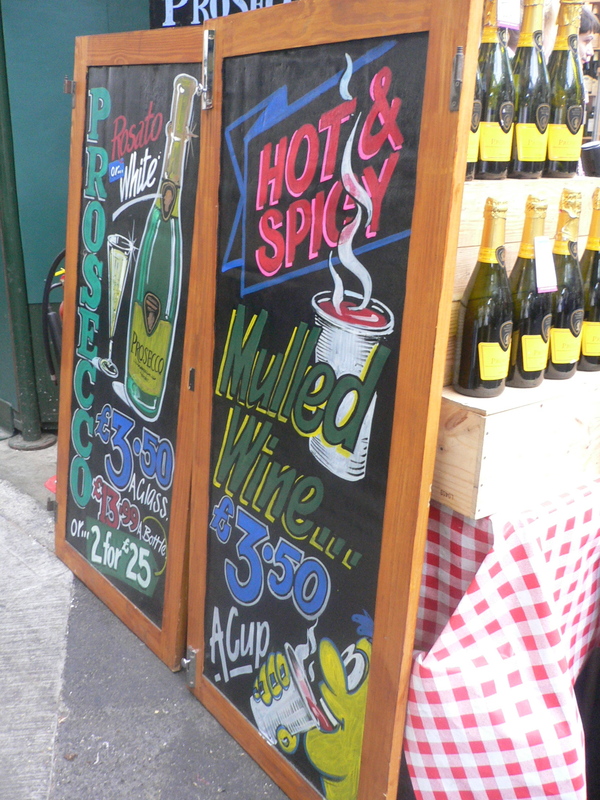 This time around, the weather was a bit chilly and you can’t do better than sipping a hot cup of mulled wine while strolling the market – you’ve got to love London for that! 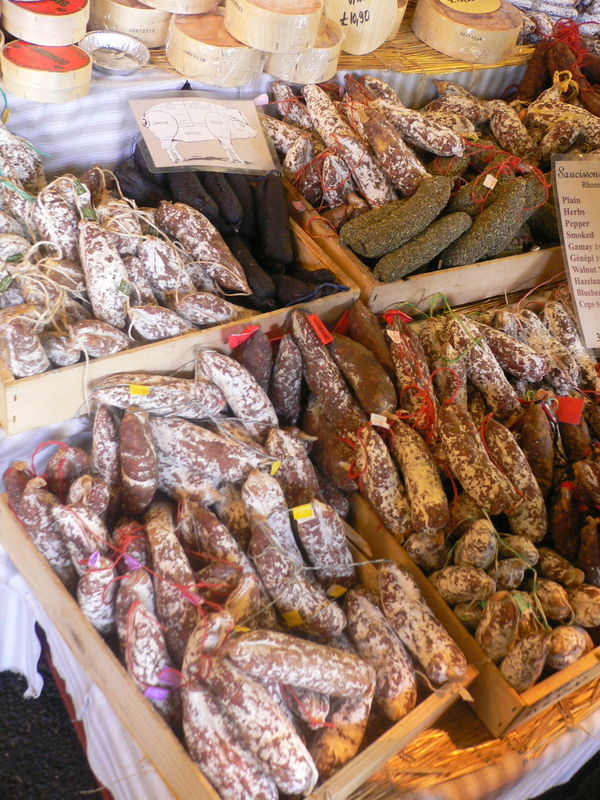 Here are some of my delicious finds…..I can’t wait for my next visit! 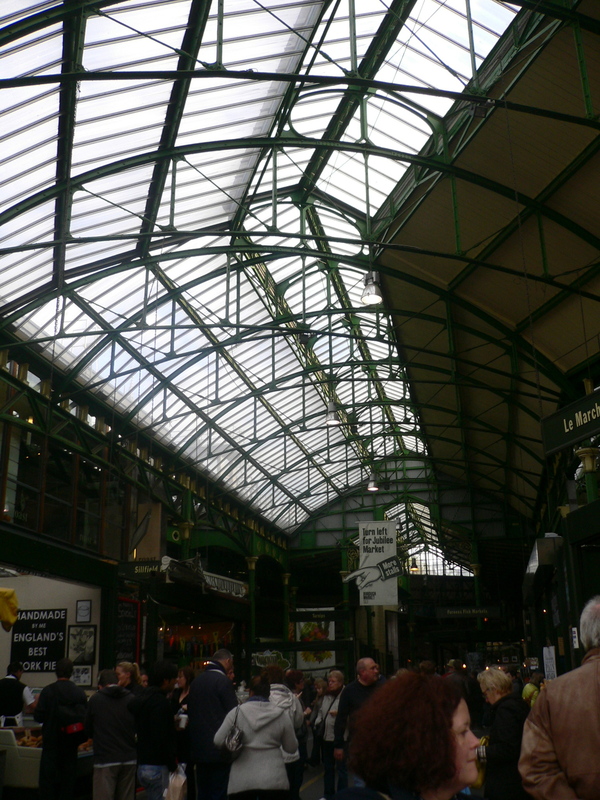 Borough Market – located under a train station. 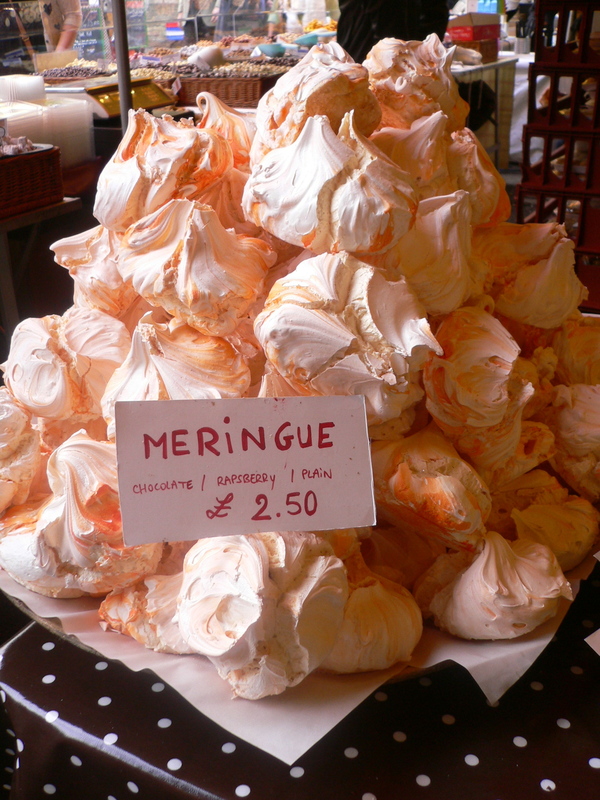 Meringues – such a sweet treat and you don’t have to feel that guilty about it, its made of egg whites! They are that big! 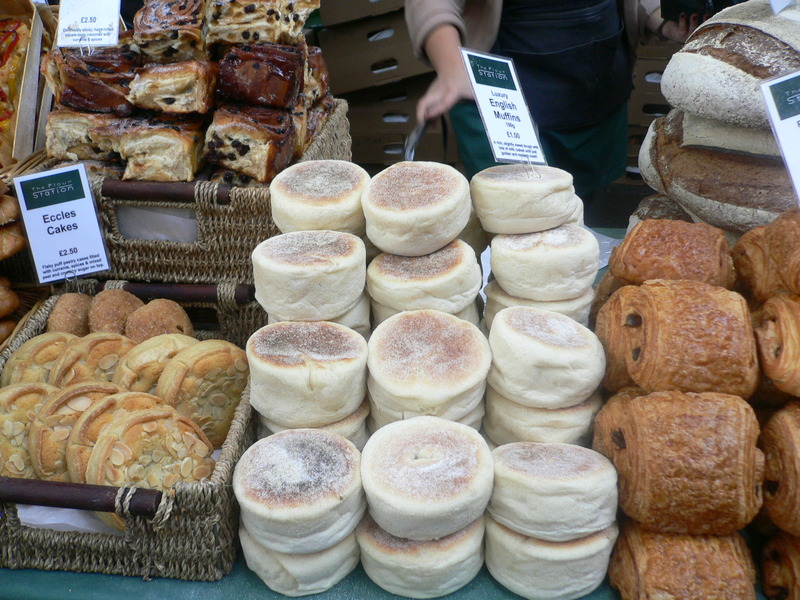 Homemade english muffins – I’ve never seen them so large! 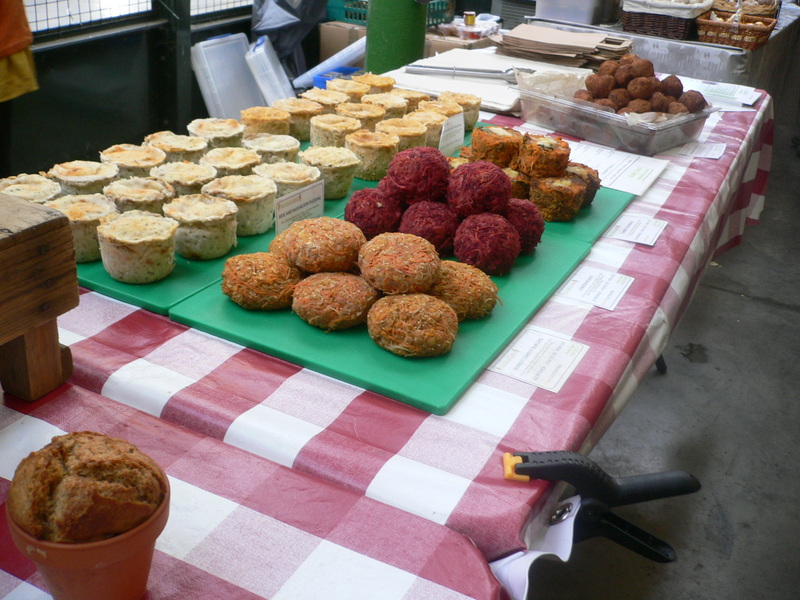 Assorted fresh made vegetable burgers. 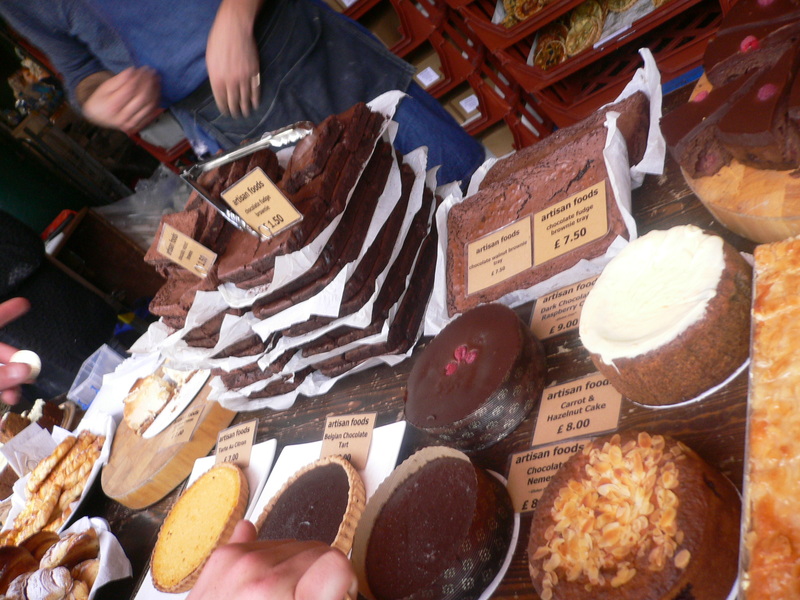 Mile high stacks of brownies. 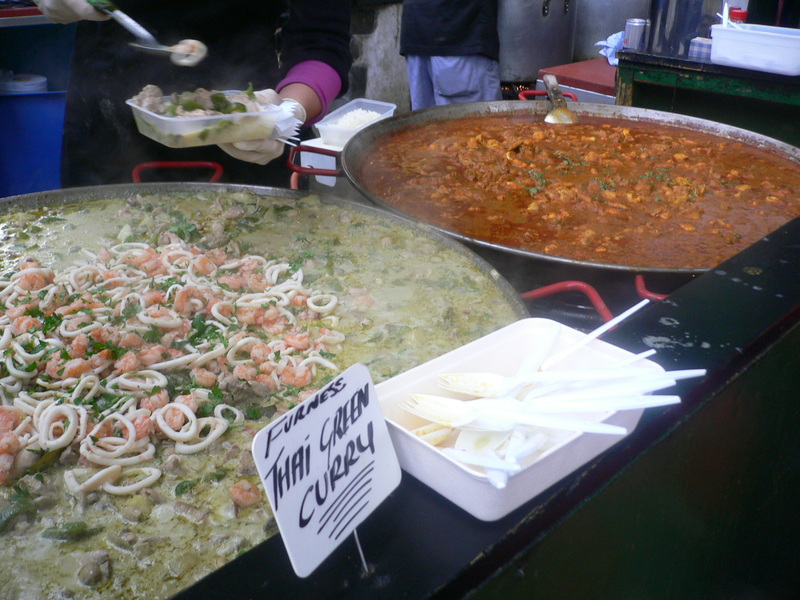 One of the many fresh fish vendors at Borough Market. 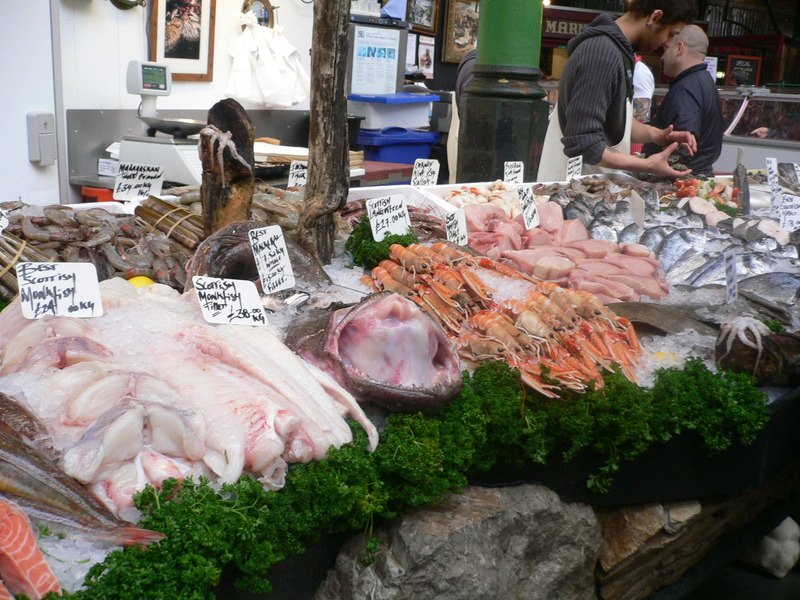 Take a look at the large monkfish! 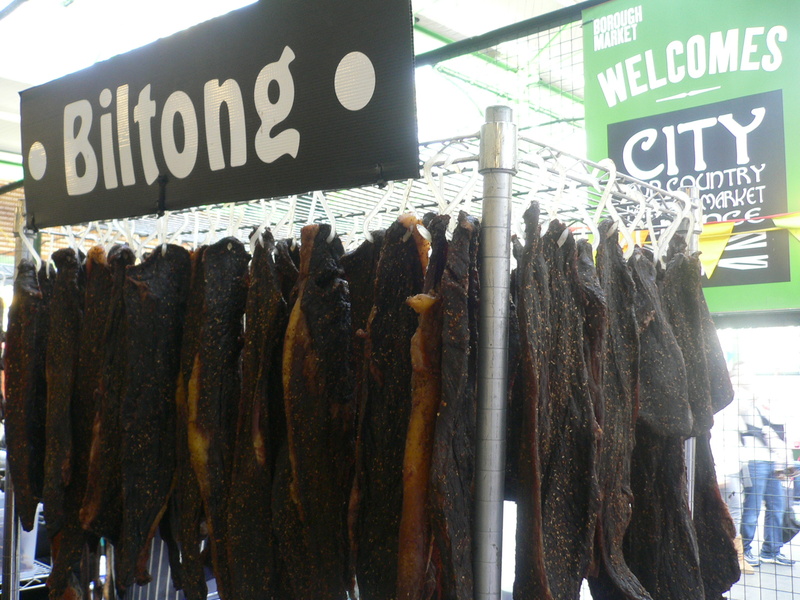 Biltong – a type of cured meat that originated from South Africa. Bridget Jones’ apartment where they filmed the popular movie.